Coming to Kelowna Sept 8 - Please help spread the word! 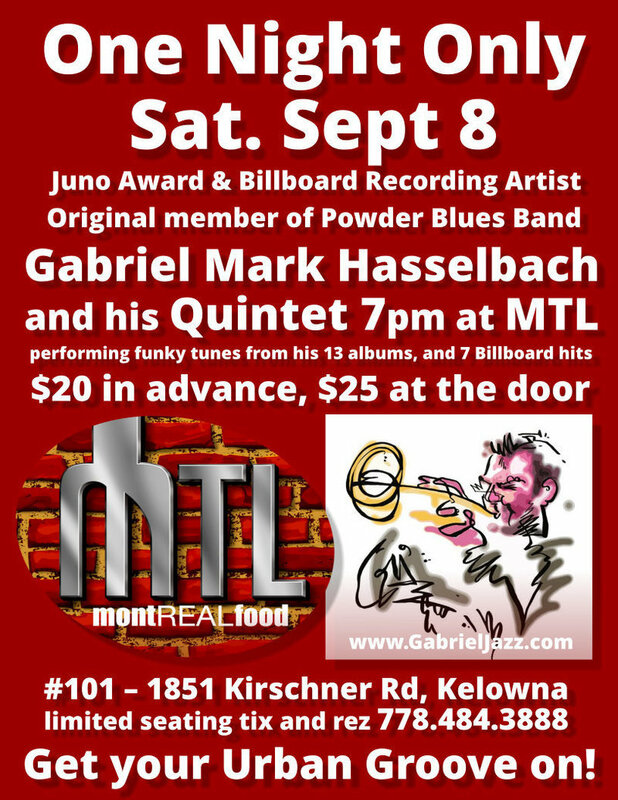 Kelowna, 7 pm, Sept 8 at MTL, a snazzy Kelowna venue. fires in the area, so this time we shall push on! on piano, and Martin Lord on drums. A special apprearance by Kinga Heming is anticipated! Check out a music sample here.